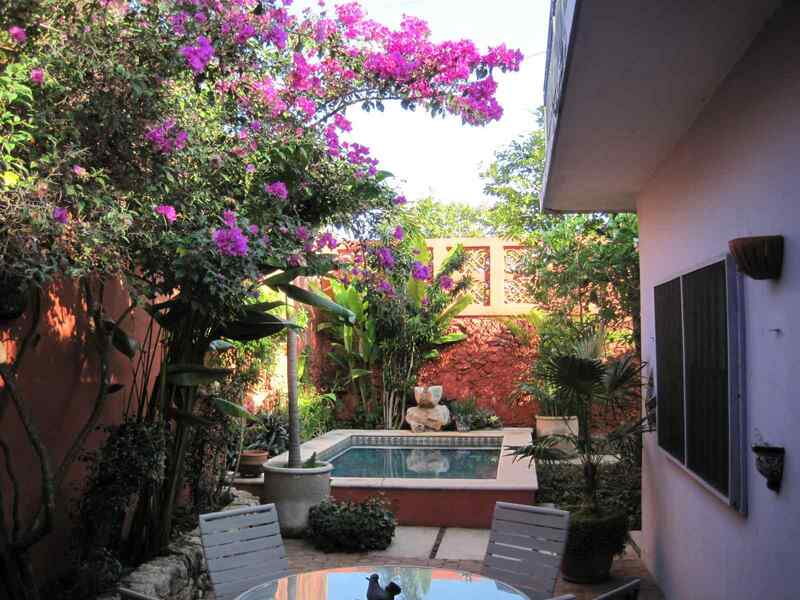 Casa Guadalupe is a colorful, tranquil hideaway in the central historic district of Mérida. Mérida is the capital city of the Yucatán, and the safest city in México! Mérida is a central location for exploring Mayan archeological sites. Chichen Itza, Uxmal, Ek Balam, and many smaller gems, such as Dzibichaltun, Kabah, Labna, Sayil and Xlapak, are all within two hours' drive. Mérida is also a vibrant cultural center, with museums, concerts and markets - all within an easy walk from Casa Guadalupe. And, the beach in Progreso is only 18 miles away! 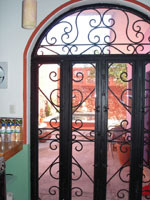 From Casa Guadalupe, stroll a few blocks down calle 47 to the beginning of the beautiful Paseo Montejo. Every Saturday night, enjoy the music, food, and artisans at the "Noche Mexicana." Two more blocks brings you to the lovely Santa Ana square, with its market (fresh tortillas, produce, flowers, spices), outdoor food court (try the tacos and a fruit smoothie), and, of course, music! On your way home, stop for a refreshing beverage served with some of Mérida's best "botanas" (free appetizers). The Mérida English Library sponsors many activities in addition to lending books: Monday evening conversation groups to brush up on your Spanish, weekly Merida house tours, monthly social gathering, and AA meetings. Once you fall in love with Mérida, you'll want to return again and again! To rent Casa G directly, contact the owner, Allison Morrill (contact information is below). 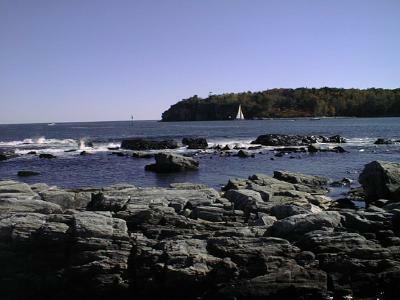 For your summer vacation, check out our Maine island retreat! We will also consider swap arrangements (we like to travel).